I have a gorgeous new shade from Picture Polish to show you tonight. 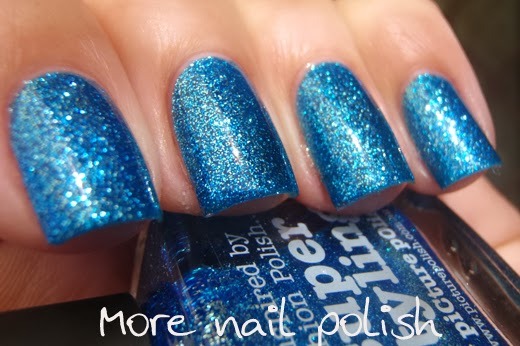 This is Super Styling and it's a stunning, densely packed blue glitter polish. 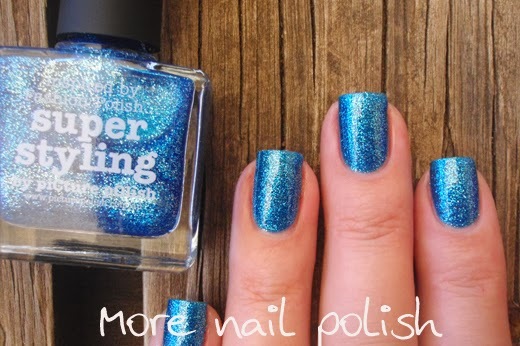 Super Styling is like the other Picture Polish Mesh shades, which are mostly made up of full coverage glitter polishes containing fine mesh like glitter (think, orbit, dorothy, heavy metal and jealousy). 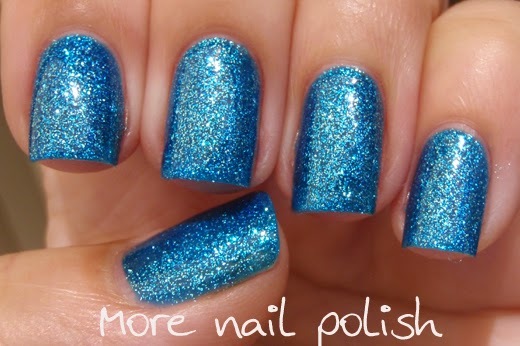 The glitter lays very flat and only needs one coat of top coat to make it smooth. The base is nicely tinted to provide opacity at just two coats and the dry time is good. Last weekend I caught up with the Canberra crew of nail polish gals and we had a great time playing with stamping decals (that mani is still to come). 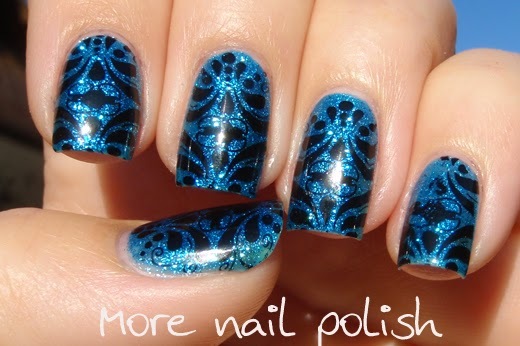 I was lucky to also receive a set of the two new nail stamping plates from Emily de Molly. This was the first image that jumped out at me so I tried it over the top over Super Styling. I messed up my pinky a little, but you probably wouldn't have noticed if I didn't say anything. This image is on plate EDM001. 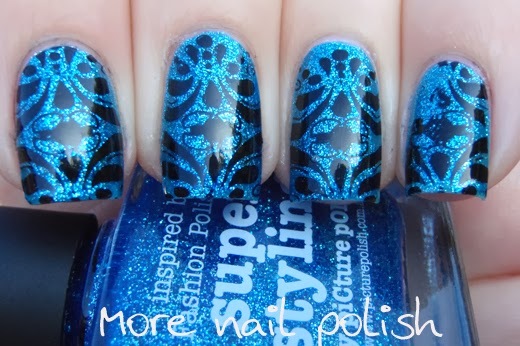 Gorgeous, I love it with the stamping!